Refurbishment of a Grade II listed property to create new exhibition spaces, a multi-functional suite including a Council Chamber and a small cinema. Folkestone’s HEART (Heritage, Education, Art, Regeneration, Tourism) created a new museum and cultural hub. 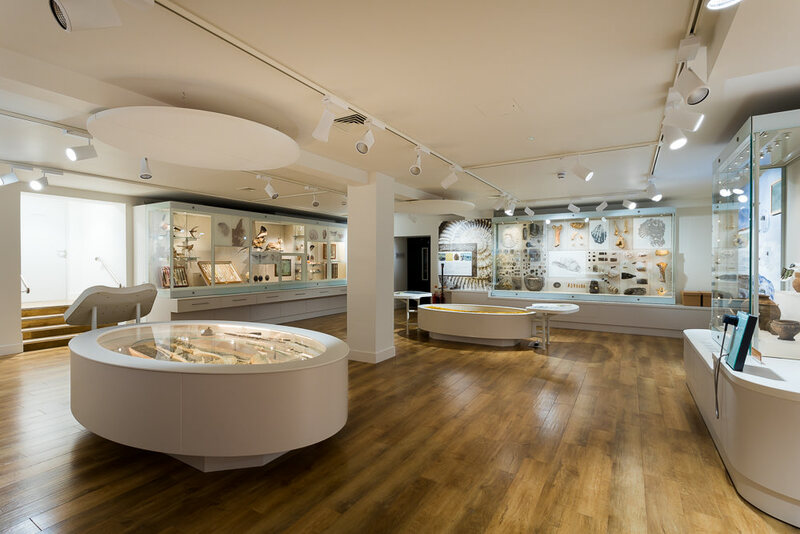 The project brings together Folkestone’s cultural and historic assets in a new museum in the Old Town Hall, supporting the regeneration of the town and boosting tourism. The new museum will be a space of inspiration, displaying the towns heritage and art collections for all to enjoy whilst ensuring artifacts are properly conserved and cared for in perpetuity. The HEART project was made possible by very generous donations and an award from the Heritage Lottery Fund. The project has created a vibrant community space that will inspire, educate and engage locals as well as visitors to the town. Folkestone Museum protects and promotes the wonderful heritage of the town for future generations.